Hello! What a frosty morning here in Ohio! It's cold enough to make one have thoughts of Christmas. And thinking of making tags for Christmas gifts. I was trying to think of something different than my usual tag shape and came across a GKD stamp in Melanie's Beyond Baskets 2 - a box lid with ribbon- and decided to create a gift box as my tag. This one measures about 3" X 3.5". The tag featured above was my best design using GKD Red Velvet CS using Versamark and gold EP for stamping the lid and words. I fussy cut the top of the lid and bow and cut the paper in the shape of a box adding one score line. Used a red velvet ribbon for this one by tying a knot in the center of the ribbon and pulling the ends through a hole in the center of the stamped bow. I wanted the ribbon for the tag to look like part of the bow and not just pulled through a hole. 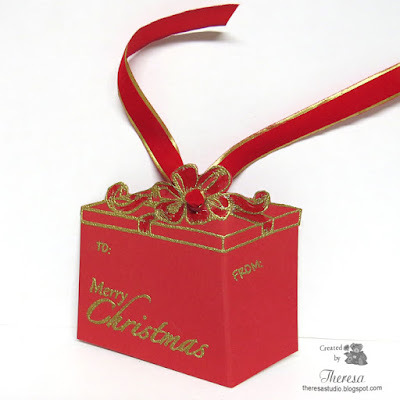 Another tag was made with the same Red Velvet CS but I used a Gold Metallic ribbon. See photo below. I used GKD heavyweight white CS for the first ones I made shown below. These were stamped with Memento red ink. I colored the ribbon on one with red Copics and added some sparkle with Clear Star pen. 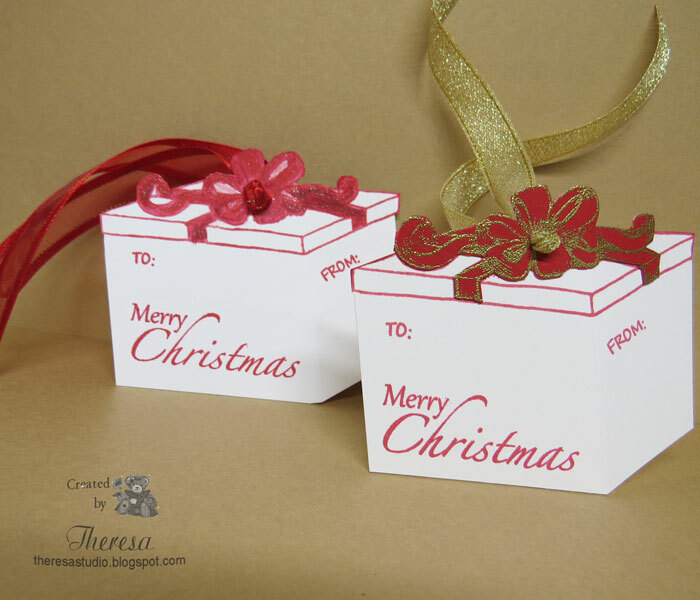 On the second white one I stamped the ribbon and bow on the Red CS and fussy cut and attached to the white box. Used ribbons of Red Organza with Gold Thread and Gold Organza. Sentiment stamp is from Joyful Holiday and To and From stamps also from Beyond Basket 2. Note: I won the Beyond Baskets 2 Set from Melanie some time ago. Stamp TV: Mix It Up Monday-Tag You're It! 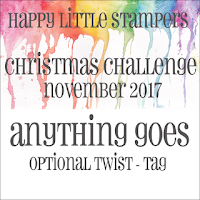 Really Reasonable Ribbon: Challenge #175 Anything goes with Ribbon. Ribbon is an important part of my tag. Fabulous tags Theresa. They are all quite festive and would look pretty hanging on the Christmas tree. Super cute tags, Theresa. 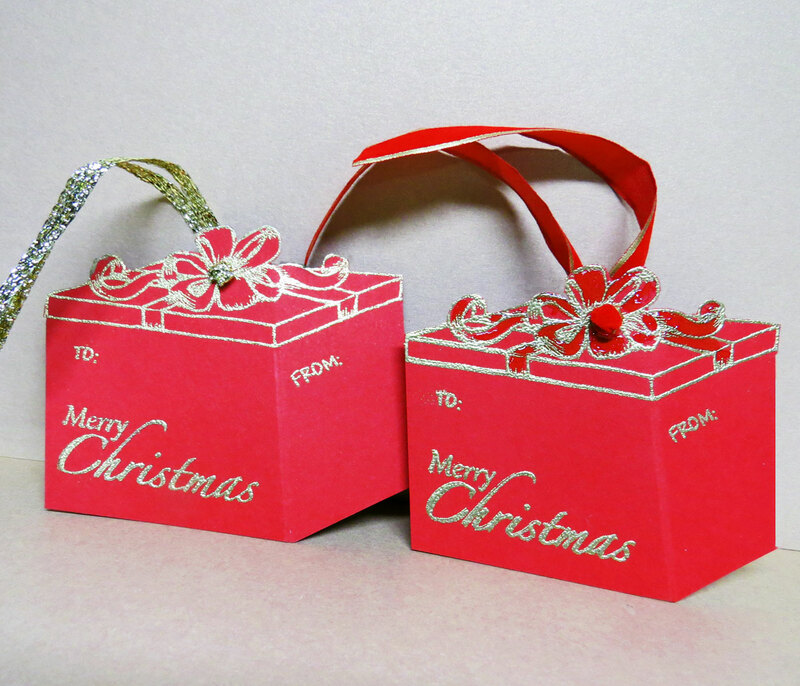 I love the red and gold combination and the sweet ribbon accents. Thanks so much for sharing your art with us. I hope you will join us again on the 13th for our Blog Hop. Oh wow! How sumptuous and elegant are your boxes. Fabulous creations. Thanks for playing at HLS Christmas challenge. Love love love the box as a gift tag! Great! 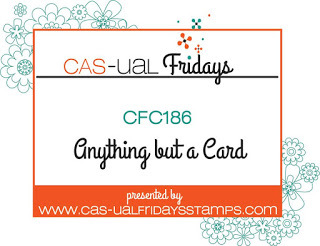 Thanks for playing with our CAS-ual Fridays challenge and good luck! Your tags look stunning. Amazing design and creativity !! 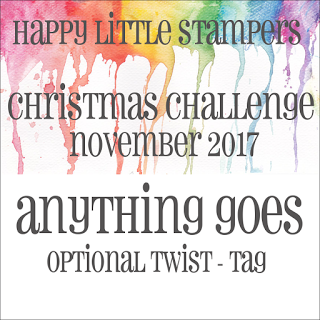 Thank you for sharing this wonderful card with us on Happy Little Stampers Xmas.